From the snakeskin print dress to the on-trend biker boots, here is a sneak peak into my winter wardrobe. I will highlight the top three items I couldn’t possibly live without. Whilst also giving you a quick insight into how to style these super essential yet on-trend products. 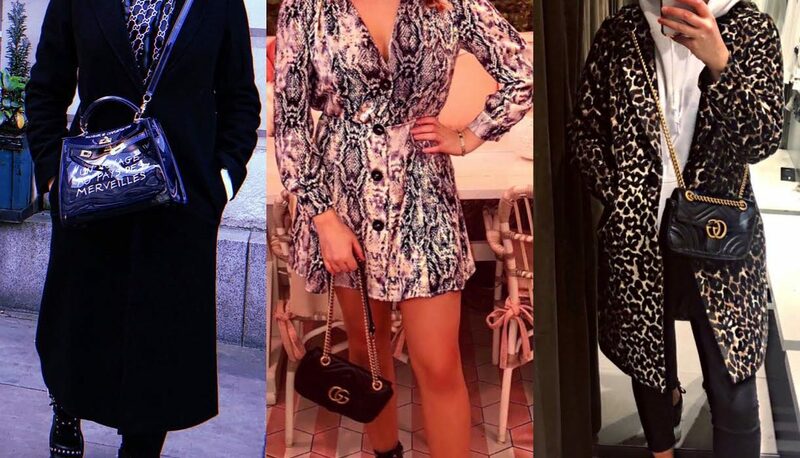 Let’s talk animal print, your winter wardrobe is lost without it. From zebra stripes to snakeskin prints, animal print is without a doubt this season’s hottest trend. Priced at just £29.99, ZARA’s Snakeskin Print Dress is a must-have. This is one of the most fashionable yet affordable items in my wardrobe right now. The dress can not only be dressed up at night with a clutch bag and metallic heels, but it is also super stylish in the day with a pair of biker boots and a cross-body bag. Effortlessly cool and unquestionably on-trend, biker boots will be your go-to footwear for Autumn/Winter 18. Whether you’re looking to soften their appearance with a tea dress or to channel the biker chick style with a leather jacket, Kurt Geiger’s ‘Sting Leather Lace Up Biker Boots’ are the perfect choice. Whilst they might be an investment at £189, it must be noted that these boots provide both style and comfort. These attributes unfortunately do not always go hand-in-hand when it comes to footwear. Always a favourite in my wardrobe, the winter coat. A cheetah print coat may seem wild but it’s a simple way to add an on-trend touch to a basic outfit. Priced at just £35.99, New Look’s ‘Animal Print Coat’ is a serious style steal, not to be missed. It can be worn with a turtleneck jumper, skinny jeans and trainers in the day, or in the evening over your favourite little black dress. This coat is more versatile than you would think.